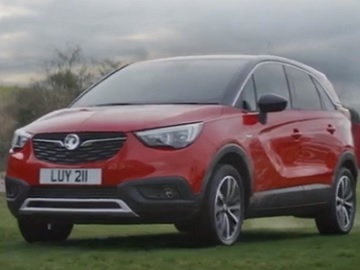 Vauxhall showcases the Crossland X in a new advert, that introduces the compact new SUV crossover as a car “for when life gets muddy”. The spot features a bunch of kids as they finish their rugby practice and head towards their parents’ cars. Filthy gear and muddy boots make some of the adults react a little bit weird upon the perspective of having them in the car, but one particular mother, who’s a Vauxhall Crossland X owner, is not worried at all and welcomes her daughter with a smile. The advert, scored by a piece of classical music, concludes with the voiceover saying the tagline “Less Rah. Get real”. The Crossland X features a bold design, a stylish two-tone floating roof, a sporty interior that boasts clever seating (folding rear seats), ample storage (with up to 520 litres of flexible loadspace), and smartphone solutions – IntelliLink screen with Apple CarPlay and Android Auto, a wireless charging sport and Wi-Fi hotspot are among them. The Crossland X also features Bluetooth audio streaming, USB connection with iPod control and smartphone projection, panoramic rear-view camera, LED headlights. The price is starting from £17,610.